What a wonderful morning with Sebastian, Fareen, and their wonderful daughter! 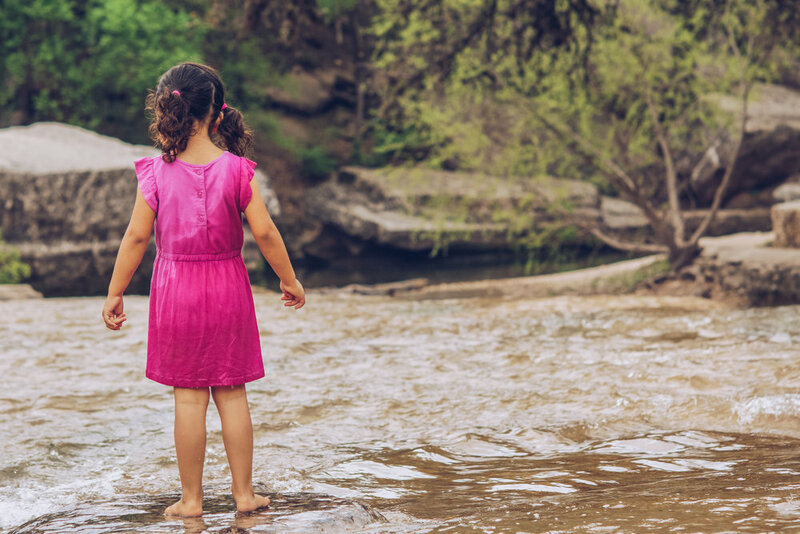 We played on rocks, we played in the creek, we splashed, and there was tons of love! 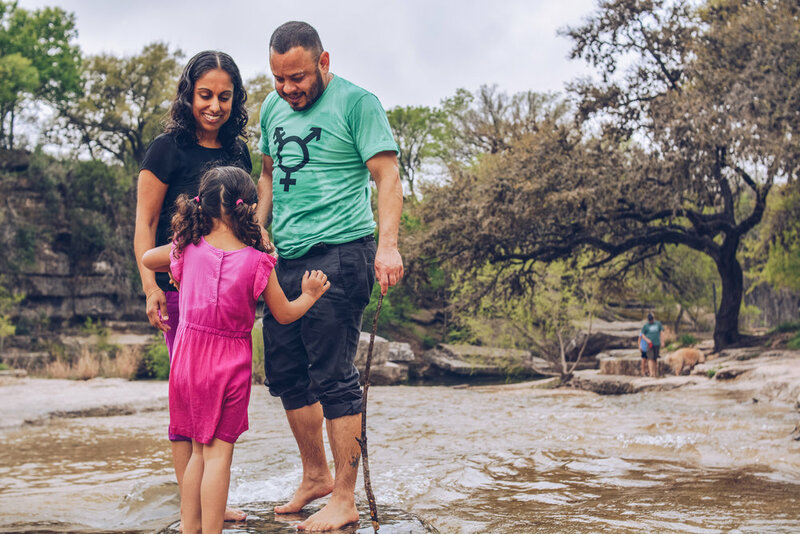 Fareen and Sebastian are a queer couple living in Austin, and they absolutely love each other and their awesome daughter. 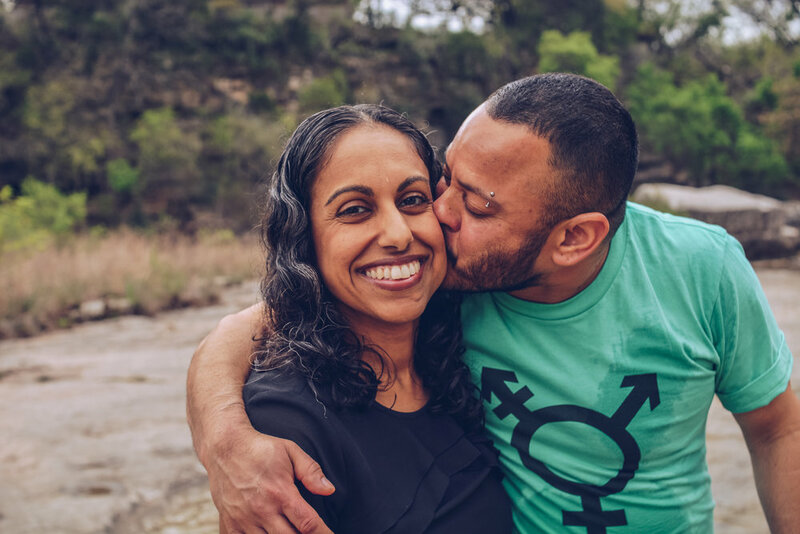 Fareen is a cisgender Desi Muslim woman, Sebastian is a transgender Puerto Rican Catholic man. As I hope is clear from the pictures, these fantastic people just want to be who they are and love who they love. They're putting so much good out into the world! In Texas, SB6 is a bathroom bill aimed at making going to the bathroom as difficult, and potentially scary, as possible for trans people. The bill is making it's way through the state legislature in a brutal, inhumane, and uncompromising manner despite hours and hours of testimony into the early morning on the damage and stigmatization that the bill will cause. If you live in Texas, call on your representatives to strike down this heinous and bigoted legislation. Put laws on the books protecting amazing families and individuals like Sebastian and Fareen!